That’s the question that drives the plot of the second movie based on author Veronica Roth’s young-adult Divergent trilogy about love, loyalty, politics and identity in a futuristic, post-apocalyptic Chicago. Shalene Woodley returns as Tris, a “Divergent” who doesn’t fit into any of the dystopian society’s other rigidly prescribed factions based on personality and aptitude: Abnegation (selflessness), Amity (peacefulness), Candor (honesty), Dauntless (bravery) and Erudite (intelligence). As the movie opens, the subdivided system has fallen apart, insurrection has swept across the land, and the ruthless Erudite overlord (Kate Winslet) blames it all on rebel Divergents. Peace, we’re told, can only be obtained by opening a rune-covered, boxed-up do-dad containing a secret message “from the founders” of the long-ago, walled-in society that that has ultimately disintegrated into chaos and ruin. And the only person who can open the box—through a series of grueling, simulated tests, or “sims,” that are like wiring into a life-or-death computer game—is a Divergent. Winslet’s icy CEO/empress orders her minions to round up Divergents until she finds one who can pass—survive—all five sims, each based on one of the factions. What’s in the box, that drives her to coldly sacrifice others to obtain it? 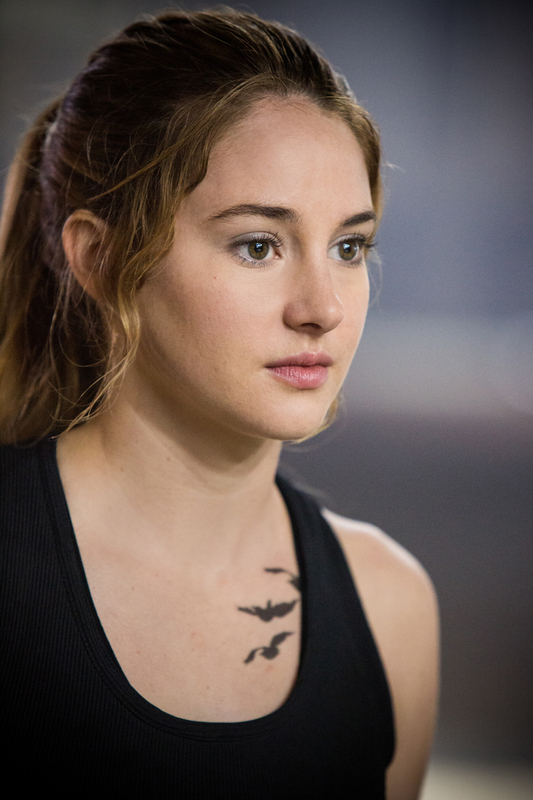 The search is futile…until they find Tris, the purest, most “divergent” of all the Divergents. Some viewers have faulted the Divergent series as being too derivative of The Hunger Games, which—fair enough—also featured great-looking, well-coiffed, repressed young people in a grim future world, fighting each other, held against their will and railing against an unjust, repressive, totalitarian regime. But every franchise of anything has its fans, and Roth’s trio of novels—like The Hunger Games—will also be stretched into four films before it finally wraps up in 2017. 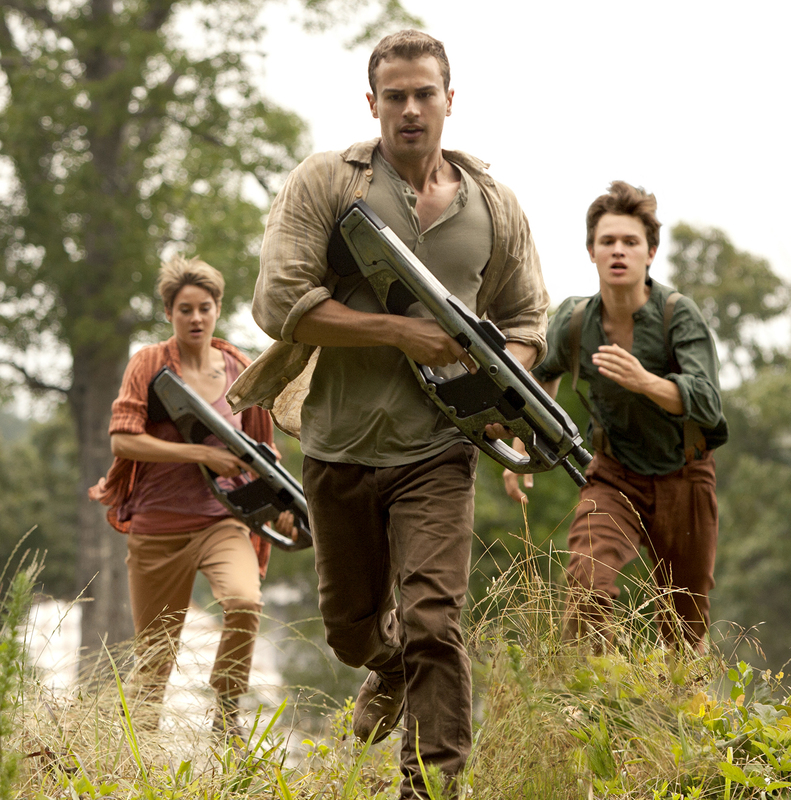 Insurgent, in addition to Woodley, finds several other young actors returning to their roles, including hunks Theo James, Ansel Elgort and the series’ true secret weapon, Miles Teller, who provides much-needed levity—and what little real surprise there is to be found in the thin storyline. Octavia Spencer and Naomi Watts are newly aboard, and their relatively seasoned maturity frequently gives them the air of grownups navigating a bustling high school hallway. What’s in the box? Oh, that: The setup for two more movies! Shailene Woodley and Theo James star in the first movie from author Veronica Roth’s futuristic trilogy. This latest vision of a totalitarian, dystopian future comes by way of author Veronica Roth, whose popular young adult novels are now Hollywood’s latest hopes to cash in with the audience—and payday—of The Hunger Games and Twilight franchises. Divergent, the first in Roth’s trilogy of best-sellers, centers on teenagers who are tested and sorted into one of five groups, or factions, when they turn 16. The classification locks them into irreversible courses to become selfless public servants; brainy scholars and scientists; pacifist farmers; warrior protectors; or truth-seeking lawmakers. Born into the public-service group, Beatrice (Shailene Woodley) “tests” with evidence of more than one faction: Uh-oh, she’s a “divergent,” and being more than one thing is considered bad—and dangerous. She’s a mutation that threatens the social order. Zoe Kravitz (left) and Shailene Woodley portray new initiates to the warrior-like Dauntless “faction” who begin their training with a bold leap from a moving train. 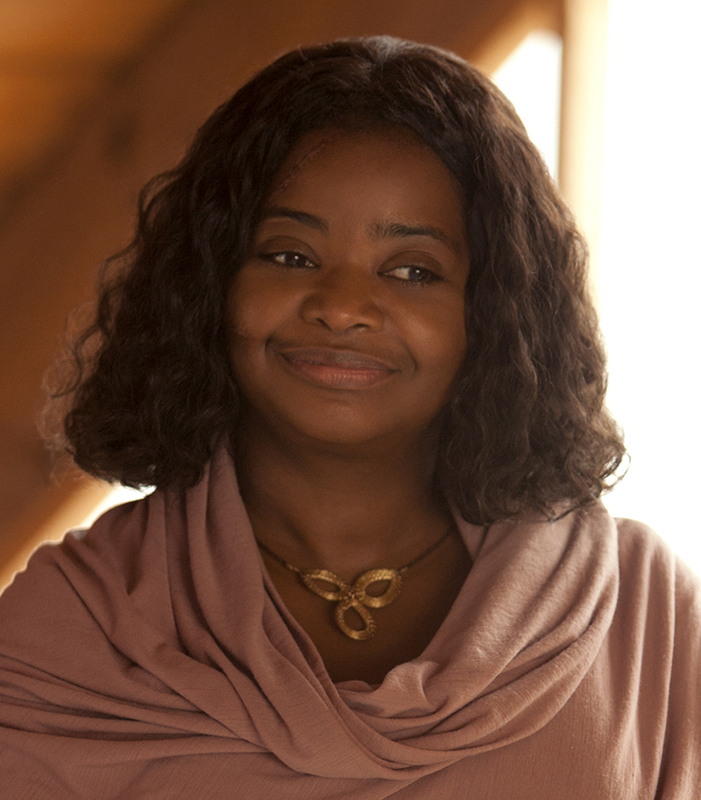 Beatrice bucks her test results, gives a parting glance to her crestfallen mom (Ashley Judd) and runs off (literally) to join the fearless “warrior” group, Dauntless. She shortens her name to Tris and falls for her mentor/instructor, Four (Theo James), who becomes her partner in uncovering a diabolical scheme by the cold, calculating head of the intellectual Erudite group (Kate Winslet) that could spell doom for Tris and her kind. It’s easy to see how this story has a built-in appeal to young audiences. Teenagers can certainly relate to its young characters leaving home, trying to figure out who they are, facing major decisions about their futures, and rebelling against forces conspiring to steer them places they may not want to go. The plot is rather dense, often clumsy and clunky, and the whole thing could stand to be about 25 minutes shorter. Director Neal Burger can’t quite seem to get out from under the long shadow of The Hunger Games, which looms large. But Woodley is a delight to watch; her face can convey a spectrum of emotion—delight, bemusement, betrayal, regret—with only the slightest movement, a subtle shift in her eyes or a morph of her lips. She’s also now become a capable action-adventure star. The camera also loves James, and the romantic heat between the two of them will melt away a lot of the shortcomings in Divergent as far as its sizeable target audience is concerned. “We need to keep moving,” says Four in the final scene, as he and Tris leap onto a speeding train, heading toward the sun and tomorrow. 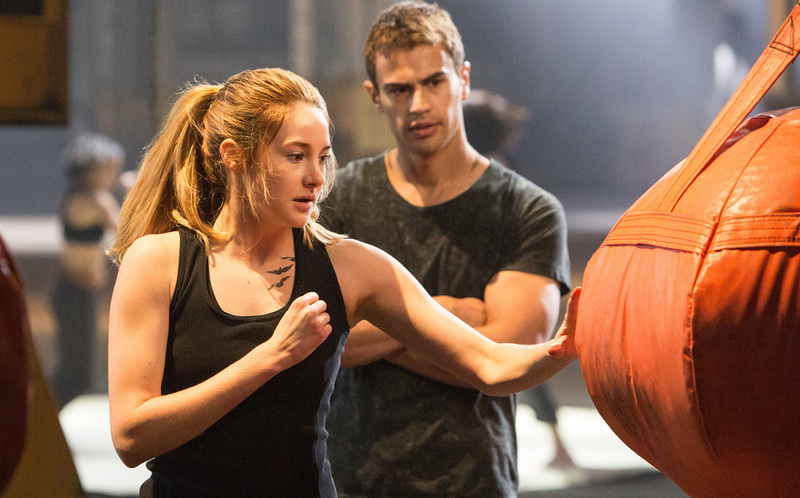 Keep moving, indeed, and all aboard: The Divergent sequel, Insurgent, begins production in May.